This past year I wrote song to all those who were affected by the Fires in Paradise CA. As most of you know California had a horrible year with fires and many homes and businesses were lost. The Camp Fire in Paradise CA, not only did the whole town go up in flames but lives were lost. As I watched the news daily, my heart was breaking in two. So much pain and suffering for these people, life was normal one day then everything shattered the next. Something that nobody can honestly say they know what they are going through unless they’ve lived through such devastation. One evening I was on my Twitter and a friend sent me a Tweet with a Video attached. There was a father driving through the fire, trying to get his family to safety. As he drove through the fire, he was videotaping it on his phone and trying to keep his daughter calm. The flames were shooting on both sides of the road as the emergency vehicles were passing by. The little girl was asking her daddy to go back, she didn’t like the fire. He told her they were going to be okay, and they did safely reach the edge of town and made it out of the fire safely. For the next few days I thought about that Video, and the words came to me, so I wrote down what I was feeling at the time. I wrote the song lyrics and turned to a good friend of mine named Larry Meador. I asked if he’d like to help me with putting the music to the lyrics and sing the song. The amazing thing was, Larry sang the song exactly how I was singing it here on this end when I wrote it. You can find this song on Reverbnation the title of the song is “Daddy Lets go Back.”. Even though not many from the Camp Fire in Paradise will ever hear this song that I’ve written, it is still my tribute to them. I just hope and pray that where ever they are and whatever direction that their lives have gone, they are healing, and are getting on with their lives. I have attached the song so you can take a listen. Well, here we are at the end of another Month in the year of 2018. These months seem to be passing by quickly and before we all know it the holiday season will be upon us. I was trying to think of what I wanted to share this month on my Blog and have decided to do a Blog on Thanks and acts of kindness. I have been on Twitter for a few short months short of 3 years, starting out I didn’t have a clue to what it was all about and now feel pretty comfortable with what it’s all about. I am nearing in on 15,000 Followers which in my eyes is pretty amazing. And out of these Followers I have some pretty Big names Following me! Big Artist such as most of you already know Travis Tritt, Toby Keith, Crystal Gayle, The Gatlin Brothers, The Oak Ridge Boys, Joe Diffie, Aaron Tippin, TG Sheppard, Kelly Lang, Marie Osmond, Eddie Money, Aaron Carter, Clay Walker, Gretchen Carlson, Kathy Ireland, Craig Wayne Boyd, and more, just to name a few. Now with all these Fake/Imposters out there in the twitter world some might say, “Yeah right sure she just has a bunch of Fakes following her!” But just to let you know I found out very quickly what a Fake/Imposter is on Twitter. When you get a Direct Message from George Strait, asking for your phone number, you’re like yeah right. When Alan Jackson hits you up with a secret date, just don’t tell nobody. You’re like oh for heavens sake, what is going on here. And Kenny Chesney will tell you how special you really are. It’s all about common sense. Why would any of these major artists be interested in me, they don’t even know me. So, you learn quickly these truly are Fake/Imposters. So, for all you who are questioning me on the Major Artist above, yes these are the real deal. They all have Verified Accounts. 1. One of the Biggest is Hardly NO Followers, come on a Major Artist and he or she only has 20 or 30 Followers. Give me a Break, there is no way Luke Bryan, Travis Tritt, Toby Keith, Kenny Chesney to name a few, would only have a very few Followers! 2. Look at their very First Tweet on their page, the odds are it’s a Re-tweet from the REAL Artist, so right then and there you know for a fact it’s a FAKE! Look closely that Real account will show the verification seal the blue circle with the check mark in the middle. 3. No major Artist will ask you for money, plain and simple. Think about it, why would they be asking you for money? This really should be one of the biggest red flags, report them ASAP and block them. 4. Check to see when the account was started. Most Fake accounts are new accounts, just opened in the last few months, if you’ve got someone like George Strait, Travis Tritt etc. there is no way they just opened their account in April, May or June of 2018. Again, look for the verification seal! 5. Do not give out any of your private information, meaning your phone number, address, no major artist will ask you for your private information online. 6. It all boils down to common sense. If it doesn’t feel right, it probably isn’t. Trust your gut instinct and always, always remember to look for the Blue Verification seal with the check mark in the middle. I have also had some say, well not all major artist has been given the Blue Verification seal, and that is true too, but again, look for the number of Followers, if it’s a fairly well-known artist they are going to have more than 4 or 5 hundred followers. Well, I could go on and on with the subject but I have given you the major things to watch for in the Fake/Imposter Twitter world. But to protect you and others always Report and Block please. So, getting back to my Blog of thanks, I thank ALL of the Major Artist and well-known people in the world for Following me, it means a lot to me and I appreciate it so much more than you’ll ever know. I would like to say a Big Thank you to @bigtime_radio for playing some of the songs I’ve written on Big Time Radio, also a thank you goes out to James Davis, Greg Frisch, Becky Harge and all their support they give. I am forever grateful for all the plays and encouraging words about the songs I’ve written. If you haven’t done so already down load the Big Time Radio App and listen! And most of all don’t forget to #Follow @bigtime_radio on Twitter! I would also like to thank @KickingEagle and @musicgirl365 at Kicking Eagle Int’l for all their wonderful support that they have given to everyone including me. I have appreciated all the support over this past couple of years, and I thank you. You can check them out at www.countrybandstand.com, www.eaglemediagroup.com when you stop by I hope that you will give them a #Follow on Twitter and check out all the support they give to everyone. So much hard work goes into their projects. Thank you to Billy Power @vanman1000 from TCRFM Ireland a Radio presenter! Thank you so much for sharing my music on your FM Radio station in Ireland! I am forever grateful for featuring my music on your FM Radio Station on your Tuesday Country Show and for all your continued support! Please go by and give Billy Power a #Follow on Twitter at @vanman1000! I would also like to Thank @AllysAtticShow and @Avaliveradio for the interviews in the past, you both are amazing and do such wonderful work! Thank you for taking the time to allow a songwriter to be featured on your shows! I truly Appreciate all the support you both have given me! I hope everyone will also #Follow both these wonderful ladies on their Twitter accounts! You can hear my interviews with them on my website at www.sheri-lynn.net . Thank you to Randy Lockhart at @chiefwriters Randy works hard on all the magazines that he’s produced over the past few years in helping all the Indie Artist and shows support in his many magazines. Randy and I worked on www.indiemusicmagazine.live together in helping many Indie Artist, Randy also supports my website. So, a big thank you Randy for all you do. Please go by and give him a #Follow too on Twitter! A thank you goes out to @DSRNDebbie at “Debbie Scott Radio” thank you for supporting my music and playing it on your radio station! Please stop by Debbie’s Twitter page and give her a #Follow. Check out www.debbiescottradio.com when you have time! A Big Thank you goes out to Ray at @KeepinItCntry for doing a feature story on me in the past too! All the support, and Re-tweets is very much appreciated! Thank you so much! Go by and give Ray at @KeepinItCntry a #Follow for all his hard work! A Big Thank you goes out to Travis Tritt for allowing me to do “#TravisTrittTuesday each week, for giving a little of his time when time permits to engage with the Fans. Sometimes just that “Like” of a tweet makes someone’s day! Thank you. 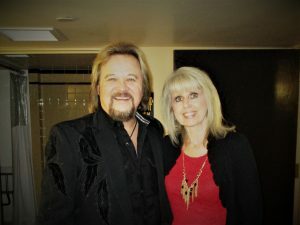 As special thank you to Randy Logan @PUTSOMEDRIVETT for sharing his Travis Tritt Collection and knowledge each week with all us Travis Tritt Fans! Well, everyone I hope you all have a great weekend, and a safe 4th of July which is coming up soon, sending you all much Happiness and plenty of smiles to go around! Thank you! Well, the month of May is coming to a close, and I have been thinking this past couple of days, what should I write about on my May 2018 blog? Well, so many subjects come to mind, but something always steers be back to music. As most of you reading this know, that I have a passion for writing, weather it be poetry, journaling, letters or my song writing. I seem to be the happiest writing. Heck I even get excited to walk into an office supply store just because I know it leads me to more writing pens, and more paper! I know this sounds a little bit crazy but writing thoughts down on paper can really open one’s eyes up to there emotions and feelings, and what they are feeling at that exact time. 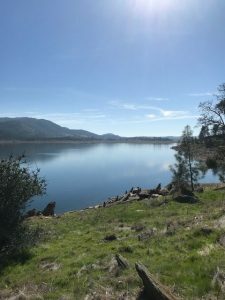 There have been times I have grabbed my pen and paper jumped into the car and drive to a near by place here in this little town called Hogan Dam. I will sit along the water’s edge and absorb all that I am feeling at the moment. From the sounds I hear off in the distance to the water brushing against the shoreline, to the fisherman across the way. It’s then I grab my pen and paper and start writing. I will write everything from the birds chirping with excitement of the warm sunshine that brushes against their feathers, to the wind that softly blows beneath their wings as they fly by. To the crazy fly who is buzzing around trying to annoy my time alone, just me, my pen, paper, thoughts and emotions trying to be set free, at that moment. I know some would say, why write about something so trivial. While others may see the beauty in getting lost in the moment, actually taking the time to truly absorb each and everything that is going on around me. From the soft breeze brushing against my cheeks, to the boat motor roaring by to disrupt my silence. I take note of everything and log every feeling at the moment. The feeling of peace in the silence, to the annoying motor sounds from the boat to disrupt this peaceful setting, only to realize, that the person in the boat is enjoying what they feel, they have a passion for. The loud motor sounds to the fast pace of the boat gliding on the water. You see, we all belong, we all see life differently. As the warmth of the sunshine is absorbed into my skin, I feel alive, I feel as each breath I take is God’s gift to me, I am able to see the beauty of the day. I am grateful to be able to hear the birds chirping, the boats loud roars, and the water brushing against the shore, I am thankful to see and hear all that is going on around me. So many times, we have all taken for granted life in general. We don’t look around and see just the beauty in nature alone. The rock formations, weather the water is still, or slight waves are rushing in from a passing boat. The leaves that have surfaced since the last visit only 2 weeks before. If we don’t slow down and enjoy each and everything we see, we truly do miss out on life. The older we get the more we are aware of our surroundings. The more we are looking to find peace within. So many of us get so wrapped up in our everyday life that we truly forget to live. We are all guilty of this. But we all must realize, if there is something or someone we truly care about, we find a way to do it or somehow contact that person to show that we care. Because anything that we care about we will make the time for. It’s just human nature. At times I sit and song lyrics come to mind, but more times than not, a song surfaces from my life. What is going on at the time, or if I sit and let my emotions from my past come flooding back to me. There have been times writing about a past hurt, can truly be healing for the soul. To bring something that we felt was too hard to handle at the time, sometimes we have to revisit it in order to get past it. We think we have let it go, but in reality, we never did. So, we carry around the hurt and don’t even realize it. Until one day, we can finally release it. When my mother died 24 years ago, by over dosing herself on her prescription medication, it was so hard to understand, I at the time was so young, raising a daughter and a son of my own, and dealing with my mother who fought mental illness for the past 15 years. I never wanted to talk about it for the longest time, as I didn’t want anyone to know, because I felt so alone. I felt that so many people during that time didn’t truly understand mental illness and how it affects not only the person going through all the pain, but also the family who had to sit back and watch what was going on. Trying to choose the right things to say and help with someone who felt so broken inside. Especially my mother. After all I wanted my mother to be there for me, to help me along with life’s troubles, but the tables were turned, I was trying to help her from the time I was 19 years old till she died when I was 36 years old. This is where my song “God Needed an Angel” came from. If we live long enough we all experience loss. We all handle the emotions of loss differently, and there is no wrong way or right way to grieve but grieve we must. We carry on with life in the best way we know how, in hopes of seeing each other again. So, we hold on to Faith, that we Hope someday, that my 3 favorite words come to surface. We all need to have Faith, Hope and Love in order to survive this thing we call life, it will carry us through, as long as we all Believe and hold these 3 things in our hearts. Thank you so much for taking the time to read my blog today, sending much love to you all until next time…. As I sat here today thinking of what I wanted to write about in my April blog entry, the first thing that came to mind was my co-writer friend Doug Jackson. For most of you out there in Twitter land and Facebook you may have seen my message about the loss of my dear friend and co-writer Doug Jackson. Doug and I met on a music site called Number One Music, and for those of you who don’t know, it’s a site to where you can place your music and share with others who also have their music posted, it’s a site a lot like Reverbnation, but has these crazy little things called blincoins that you get when you share others music and they in turn can earn coins to share your music, into their Twitter or Facebook page. The more you share the more you can earn for promotions, it is time consuming to say the least but it does get your music out into the world. My main goal is to share my music with others, and hope that something in the lyrics that I write can open their hearts and touch them the way that music can sometimes heal a soul. One day on March 30, 2017 Doug contacted me in a Direct message thanking me for sharing his music, and paid me a big compliment on my music, and from there on the friendship began. Doug was such a diamond in the rough, he was a songwriter who should have been rewarded for his many hours of dedication over the years, of writing song lyrics as well as all the melodies that go with them. Doug was confident in his abilities as a songwriter, and he knew he was good at it, but just didn’t have the means to do any marketing on his music. To him it wasn’t about the fame and fortune, it was about touching lives through his music. So many songs of Doug’s like mine are written from true to life events. We always talked about how if we could just help 1 person on a rough, and difficult day through our music we will have known we done our job. That is truly all that matters. But we always said, if we made a couple of bucks here and there that would be great too, because then we could get more music out into the world. Doug and I had plans of doing many songs together this year and hoped to get them recorded over the next few months. We honestly wanted to share as many songs as we could, and both were looking forward to it. Some how God had different plans for Doug, must have needed a special songwriter in the heavens above. As even Doug’s song “Memories of You” you can see where in his writing that he says “God works in mysterious ways.” And isn’t that the truth. Little did we both know that God had different plans for Doug. On the evening of March 28, 2018 Doug sent me a quick note saying he had a question he wanted to ask me about the latest song I wrote and he was putting the melody to it. It was late here in California so would have been the wee hours of the morning on March 29th. He said that he’d get back to me, but he was so excited that he came up with something, he said sometimes he has to just think about a song for awhile and usually eventually a melody would come to him sooner or later. So, when the melody came to him for this particular song, he was excited! He knew how much this song meant to me. The song we were working on was a song about my childhood and growing up and losing my mother to suicide, I know not a #1 hit by no means, but I know it would hit home for someone in the world. I remember as a child of 3 years old always begging my mother to never leave me, but little did I know something as horrific as abuse as a child took my mother’s life later on in life. My mother was a beautiful woman, full of life but her abusive childhood came back to haunt her later on in life, which in turn lead her to taking her own life. This song was going to be a song to help me heal from the pain I have felt ever since that day on May 19, 1994. Yes, 24 years ago this May 19th. You know they always say that time heals, it doesn’t completely heal, you just get through it, but you never get over it. At least not for me, but music is so healing, so comforting to me. That is why I love sharing my stories with the world. In hopes that I can help someone else that may be going through the same thing or something like it. When a few days went by, and no word from Doug, I thought it was very unusual for him he always contacted me a few times a week just to check and see how I was doing, and when no messages came I began to worry. So, all the usually stuff came across my mind, his computer broke down, he was in the process of getting all his tax preparation’s ready to file, so thought he was just working on that as tax time was approaching quickly. But still I sent messages to all his usually places, and nothing… This wasn’t like Doug. I was talking to a friend of mine on Twitter who is also a friend of Doug’s to see if she may have heard from him and she too hadn’t heard anything? I am not a big fan of Facebook so don’t spend much time there, but she suggested we go and see if there was any post on his Facebook page, and we both saw that he had passed away on March 30th. The shock that we both felt, the tears we cried together, how could this be? I had just talked to him the day before his passing, he wasn’t sick or if he was he didn’t say anything and for the most part Doug told me he felt pretty healthy. The post just read that Doug pasted away on March 30th, and there was a link to his Obituary and his service was on April 2, 2018. April 2, 2018 was the 2nd anniversary to my Father’s passing away. When we saw this, it was the evening of April 16, 2018. My heart breaks for such a dear friend, and I felt awful that I didn’t even know for so long. I do not know what happened and to this day guessing it doesn’t really matter. But do know he was a true believer in God, and so he’s in God’s hands now. My only hope is that his family will find the last song we were working on so that I can finish it and get it recorded. I hope that Doug can some how get a message to them, somehow, some way, because “God truly does work in Mysterious ways”. Life goes on now and so does the music inside my heart, I will continue on working on my songwriting and messages I would like to send out into the world, and I hope you will continue on listening. I have a attached his song below and hope you’ll take the time to listen, I know it will touch your heart too. I will hold a special place in this chapter of my life as I turn the page and move forward, but just know that his story will always be book marked, some place to go back to and remember, “Memories of You”. I figured it was time to write another entry for my March blog. On April 2, 2016 my father passed away so we are coming up on the 2nd anniversary of his passing. So much weighs heavy on my heart, because sometimes life you have to make important decisions and try to know you made all the right choices. I know deep down in my heart that I did, but sometimes in my mind things come back and make me second guess myself. My father was very sick when we had to take him to the Emergency that late afternoon. Somehow the fear in his eyes told me the day we placed him in the car, that he was never coming back home. See my father stayed away from doctors his whole life, he always felt that they were too quick to throw a pill at you then to try and figure out what was wrong with you, so he wanted no part of it. Which to this day, I believe if my father would have trusted doctors he would have never lived as long as he did. But this time with all the weight loss, labored breathing, weakness and not being able to eat, we knew he was in serious trouble. We granted dad his wish, no doctors long enough. But finally, the day came, and I told dad we can’t do this anymore, that we had to get him to the doctor, he begged, I cried, I so badly wanted to grant him his wish, but knew I had to get him some medical help. So, we finally loaded him in the car that evening and took him to the hospital emergency, he wouldn’t allow us to call an ambulance, so we carried him to the car. After arriving at the hospital, we found out that dad had a hiatal hernia, for those who don’t know what that is, it meant his stomach was sucked up into his chest cavity, he was in serious trouble. The little hospital had to find a larger hospital with specialist to treat his condition, so he was sent out by ambulance, but he needed several pints of blood before they would even transfer him. The doctor asked dad if he wanted the surgery, and dad said yes, he wanted to live, he knew that was his only hope. The doctors told us that dad could die with the surgery, but he would definitely die without it, so I had no choice but to sign the papers for his surgery. As we waited, we just knew that it was going to be very slim that dad would survive, but dad had such a will to live. The doctors came out and said that dad survived the surgery, but they were unsure if his stomach would ever work again. The plan was to put a feeding tube into dad’s stomach, but even then, the stomach wouldn’t work, so at that time we knew there really wasn’t much they could do for dad. Dad was not allowed to eat anything or drink anything for the next 5 weeks, the only thing keeping him alive was in his IV’s. His body grew weaker, but even at that, dad would talk about going home. As each week passed, infections set in, more test were ran and test revealed that dad had a mass on his lung, and a mass on his liver which were cancer, kidney failure, emphysema and pneumonia too. But he still talked about going home, and how he needed to get a new battery for his truck. After 30 days in a hospital and if they can’t treat you anymore they want you out. They wanted to transfer dad to this place that was across town, I went to check it out and it was horrible, they had 4 people per tiny little room, we felt that being dad had good insurance he deserved to be in a nicer place, so I told them there was no way that they were going to put him there. At least at the hospital he had a private room most the time. On Easter Sunday morning, my kids and grand-daughter came, and little Emma was doing her Easter egg hunt, when the cell phone rang, it was the doctor on the other end of the line, my heart sank. He said that he felt there was nothing more they could do with dad, and he suggested it was time to stop all the nonsense, because the outcome was still going to be the same, dad wasn’t going to live. I agreed that dad had been through enough for the past 5 weeks. So that day the doctor asked if they could remove all dad’s IV’s, and allow everything to be in God’s hands, and God’s time and I said, “Yes, it’s time.” I asked the doctor how long dad would have after the removal of everything and he said probably 4 or 5 days. So, after the Easter Egg hunt, it was time to head to the hospital to see dad. When I walked in, dad sat there with a smile. He held his arms up and said, “Look, no tubes!” He was so happy, we talked off and on for the next couple of hours, then it was time to leave and let dad get his rest. We found a beautiful Hospice home in Hughson, CA for dad, he was transferred on Tuesday evening. When we arrived, he seemed so much more relaxed and was so happy to be out of the hospital, the hardest part for me was, I think dad thought he was just at a rehab facility to get stronger so that he could go home. To this day, I cry because I don’t know if he was trying to protect me, or I was just protecting him? He was happy, they were allowing him to eat jello and broth after not having anything for 5 full weeks, and he was so happy about that too. Little did he know that his stomach wasn’t working and all of what was being ate was coming out one of the tubes in his back. I don’t think he realized that his stomach was never going to ever work again. On Wednesday family came and went. Dad had a busy day, one of his favorite little great granddaughters came for a visit. Dad kept asking me if little Emma would ever remember him, I kept reassuring him she would. Emma was 16 months old at the time, and remembers her visit, when we talk about it now. I brought in some M&M’s for dad to share with her like he did when she would come to visit at his house. I took a small video on my phone and Emma still watches it often. After we left that day so that dad could get some rest, little did I know that dad would make such a drastic change through the night. I arrived on Thursday morning, I walked in his room and his eyes were shut, I walked over to the bed and softly said, “Hi dad, it’s Sheri how are you doing?” Dad raised his hand up and reached for me, I grabbed it and he opened his eyes slightly and said with a smile, “Your hands are so cold.” I smiled back and said, “And your hands are warm, dad.” I then said, “You know what they say dad, cold hands warm heart.” Dad opened his eyes one more time with a smile and said, “That’s right.” Those were the last words we spoke, the last real conversation that we had. Dad died 2 days later on Saturday night April 2, 2016. Thank you for taking the time to read my March Blog, sometimes it just helps to talk about life, and share life with others to show that, we all live, love, and sooner or later have to say good-bye…. My song “Times Like These” was written based on this true to life story. Well, this year seems to be moving along rather quickly, and this thing we call “Life” has many twists and turns for sure! 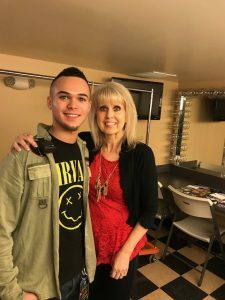 My journey as a song lyric writer has some exciting rewards from time to time, with communicating with many talented Artists who are in the spotlight and some who are not. But you know what? We all have a little “Star Quality” inside us, we just have to find it and share it with the world! I enjoy sharing other Artists music, as well as my own songs I’ve written. I’ve always felt what good is a song if it’s not shared and If nobody hears it? There are so many songs with important messages inside them, that others can relate to. That can lift their spirits, there are songs that can also bring tears, but sometimes that’s not a bad thing, it’s a good thing, because you know it’s touched right down to their very soul. When emotions surface, you know you’ve found a song with a purpose. Songs of Love most everyone can relate to, weather it be family, friend, spouse, lover or even the family pet! Love is one of the biggest emotions we all carry around with us. I truly feel we were put on this Earth to “Love and Be Loved in Return.” So, songs about Love or breaking up can touch many hearts. You can open up someone’s eyes and heart, to show just how much you care just by sharing one of your favorite Love songs with that special someone. When they hear the song, it will instantly be processed into their memory and each and every time it is heard, that memory will surface. That’s just what music does, now how cool is that. So, with all this being said, I hope you continue on enjoying your favorite music, and remember if you want to make a special memory, share some music with someone you love, make a memory that last a lifetime, we are only on this Earth such a short time, so make the best of it, with music! When you find a song you enjoy buy it, share it, and most of all Enjoy it and, in the end, everyone is rewarded! Well, closing out the first month of 2018, and all has been busy so far, My Twitter Followers have increased to over 12K now, so not bad for a little over 2 years. I must say it takes time and effort to get Followers and all, but you meet so many wonderful people all over the world along the way. Some you meet with kindness and respect, and like anything now and then you come across those who aren’t that way, but that’s okay. That’s what makes us all different, and I try to give everyone a chance to become a follower and a friend. I enjoy connecting with people who have a story to tell, who enjoy music and the likes. I think back of when I started this Twitter journey to now and am amazed at all the things that have opened my eyes, touched my heart, and at times made me feel sadness. All the emotions that one goes through on a daily basis can happen when communicating all over the world. But there is always a ray of sunshine too, in those who have a kind word to say, who give you a moment of their time to stop by just to say hello, can really brighten up one’s day. So, for this I thank you. You may wonder what things can bring on a feeling of sadness, so I write this a short story of someone whom I met here on Twitter about a year ago. 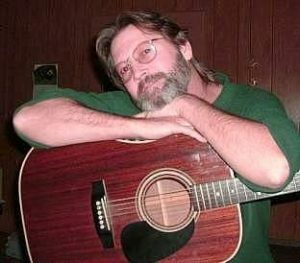 His name was Anthony Davis, he started following me and always enjoyed my music, so would ask questions about what the story behind the songs were, or how I came to write a certain song. Then one day I saw how he enjoyed my music so much, so I decided to put together a Cd of all the songs I had written and sent him one. He was so grateful and thankful. I knew I had a true fan of my work, my songwriting. As time went on all was fun to chat once and awhile about music, and everyday life. I don’t know why but sometimes I sense things, and about a week before he passed away a thought crossed my mind. What if someone was your friend on Twitter and something should happen to them will you ever know? Or would their account just disappear and you’d never know what happened to them. To this day, I feel it was a premonition. I was telling Anthony one day about someone almost hitting me in a parking lot near a retail business, but felt that I was protected by an Angel, I felt something hold me and grab me pulling me back, to this day, I don’t know how that car that drove past so fast didn’t hit me? I even saw the fear in the eyes of the driver in his rearview mirror, he just didn’t see me. There was no contact for the next 3 days, I thought maybe he was taking a break from Twitter or something, then on the 4th day which was May 8th there was a post from one of Anthony’s son’s, letting all his Twitter followers know that their father Anthony Davis had passed away. I was shocked, how could this be? I had only known him for 3 short months as a friend and now he’s gone. But this is a perfect example of God brings people into our lives for a reason, and sometimes they stay and sometimes they are called away, and can only be in our lives for a short while. So, in closing I need to say, “Cherish your friendships on Twitter, and in your everyday life, you never know how long that friendship will last. Learn to respect and love people for who they truly are, and all that love and respect will come back to you.” Always be humble and kind to whomever you come into contact with because in reality you never truly know what they are going through in their lives. Here we are the start of a New Year, and New Beginnings! Looking back to 2017, we try and see where we’ve been and how much further in this book of life we’ve come, we hope that we can pick up some of the memories and reflect just what we’ve gone through and how we survived another year. My year has been full of joy, pain and excitement! In March of 2017 my second grandchild Isabella “Bella” was born adding another Blessing to the family. She joins here sister Emma who is now 3 years old, and they make quite a pair, and are working on the sister bond as I write this. Both cute in their own way, and send out much love to all they come in contact with. I had a bad bout with Bronchitis in March which landed me in the Hospital Emergency room, but was lucky to have a doctor who prescribed all the right things to get me feeling better, took a few weeks, but am thankful I went as what was going on with my health was not getting any better. Had a few Health issues which lead me to 2 surgeries in August, when a doctor says to you, be prepared for the worse pain of your life, you have to listen, and hope that they are wrong, but in reality you find out they were right, recovering from the 2 surgeries has been a long and painful road, and is life changing with the news of not lifting anything over 10 pounds the rest of my life, never really thought about how much things weighed until now, and it really limits a person more than one would think. But I am slowly adjusting, the hardest part of all this is, I can’t pick up my granddaughters, if I should it can cause problems and undo all the repairs that the doctors fixed. Finally, the end of the year brought me another one of the best Memories of all for 2017. I was able to have a Quick hello with one of my all time favorite Country Artist none other than “Travis Tritt!” On this day November 11th in Merced, CA I was able to meet not only Travis Tritt, I also met his son Tristan. Such a wonderful family, a family that shows respect and are grateful to their fans, a day that for me will always be Special. As I recall that night, it always brings a smile to my face and a good feeling in my heart, that such a small act of kindness by Travis Tritt, really marked a day in my life I will never forget! So, there you go, a year of joy, pain and excitement all wrapped up in 2017! Now on to 2018, what will this New Year bring? Only time will tell, but for all of you reading this blog, I wish you much peace, love and happiness. May your 2018 bring you all you’ve ever dreamed of, go out into the world and make a difference, just give a little of yourself and you will receive more blessings in your life than you ever imagined. I wanted to share a story of a little girl who was 6 years old, she was the youngest of 3 children, she had an older brother and sister. Her sister fell very ill to a kidney disease that took the family by surprise, and changed there everyday living. With running to and from doctor’s appointments, and many hospital visits. The fear was always there, but the little girl still hung on to hope, that maybe, just maybe God would make things better someday and they could live a more normal life. The little girl never really knew that her family was poor, she had a warm home they lived in, clothes on her back, and many were hand me downs or goodwill purchases but still she didn’t realize or see this as being poor. She knew she had family love, and that was all that mattered to her. Her sister got so sick that she was placed in San Francisco Hospital for almost a year, so the family was torn apart by her parents wanting to be there for her sister but her father knowing that the medical bills were soaring, so he had to keep working, so they would go to visit the little girl’s sister on the weekends. In those days siblings weren’t able to go into the rooms, so the little girl and her brother would stay behind with family or a family friend. Life was never easy for the little girl, and she hoped that one-day things would get better. Christmas rolled around and the little girl overheard her parents talking that Santa was coming to a nearby Town, and she was going to be able to visit Santa! The excitement this little girl felt inside was beyond anything she ever dreamed of, she was really going to get to see Santa! Oh, how wonderful would that be to visit Santa Clause! To tell Santa her Christmas Wishes! The Little Girl was so excited when the day arrived, as she got into the car and her parents drove to the town nearby, her heart was racing, she had a smile from ear to ear, which felt so good as she felt she had enough sadness going on in her life that it was time for a little happiness, but somehow, she still felt a little guilty too, her sister was sick and all she wanted was for the family to get back to the way things were. On Christmas morning the little girl couldn’t wait to see what Santa had given her, as she pulled back the Christmas wrap there was this beautiful Bride doll, the little girl thought that the doll was too nice to play with, she didn’t want anything to happen to it, as it truly was a Special gift from Santa. So, the little girl, kept it close by the bed, she put the doll on a shelf so that nobody could mess with her doll. As the little girl grew up, the doll became more special to her, she learned a powerful lesson that day. Little did she know that the only children who got to attend events such as this Santa give away, were those who were underprivileged those whose parents were struggling to give their children a Christmas. So, the little girl grew up with learning a lesson that giving is a much greater gift than receiving. To see a child’s eyes, light up where it would not otherwise. To open her eyes and look around, and do something special whenever humanly possible all year long. Today I thought its about time to write another Blog entry, it’s been way too long, since my last entry, and would like to be more consistent with sharing about my songwriting. Today I want to share the newest song I wrote titled “Daddy I’m Right Here.” This is a song that was written to hopefully open eyes of busy parents who don’t take the time with their children and see how everyday life affects them emotionally. The song is about a young girl, who waits by the window for her father to get home from work, the father walks in and has so much on his mind from the day, he doesn’t even see her. This goes on year after year, and the girl grows up thinking it was all her fault. She spent many of nights wondering was it her, did she do something wrong? But in reality it wasn’t, it was just a busy father who had too much on his mind to even notice, his daughter was hurting inside. She grows up, and looks back on life, daddy doesn’t seem to realize that she never got to be daddy’s little girl, but mama’s sunshine instead. The emptiness she feels inside, because she feels she never really got to know her father. Now looking back was it really her fault? But now with children of her own she must go on, and make for the best for her little girls, because she never wants them to feel the way she did growing up. My hope is to open eyes of many mothers and fathers out in the world to see that they need to take time with their children, even if only for a moment when they walk in the door can make a world of difference, still sitting down as a family eating dinner and showing them your undivided attention, and asking how their day went. Truly showing that you care, because you don’t want your children feeling like this little girl, growing up thinking it’s all their fault.